Are you the proud owner of a classic vehicle? If so, you will be aware of the effects of using modern fuel in your engine. More importantly, it will be the corrosive effects of ethanol that keeps you up at night, and the danger it poses to fuel systems on classic vehicles. In need of Gear Oils, Coolant and or Antifreeze? Then now’s a perfect time to visit Opie Oils as for a limited time only we are giving 15% off with voucher code DEAL. Millers Oils have very kindly given us an offer on one of their most popular products until the end of January 2015. It features Millers Oils CFS Engine Oil, whereby for every 5 litre purchased you get 1 litre free, giving a saving of at least £11.99! The products included in this fantastic offer include Millers Oils CFS 5w-40, Millers Oils CFS 10w-50 and Millers Oils CFS 10w-60. 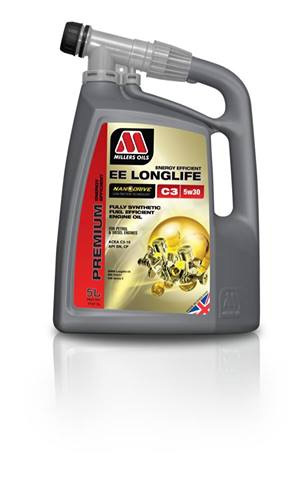 The Millers Oils CFS engine oils are part of the Millers motorsport range. They are formulated with 100% synthetic base fluids, including a synergistic blend of three esters combined with the latest additive technology for maximum performance. Millers CFS engine oils are recommended for fast road use, competition or modified engines where maximum power release is required. Opie Oils stock one of the most extensive range of Millers Oils products on the internet, you can view the complete range available in the Millers Oils section of the Opie Oils web site. If you wish to discuss or order any Millers Oils product then you can do so over the phone on 01209 202949 or by dropping us an email to sales@opieoils.co.uk. Millers Oils Diesel Particulate Filter Cleaner & Regenerator is now available to buy at Opie Oils. Millers Oils DPF Cleaner and Regenerator ensures that the diesel particulate filter (DPF) is regenerated even during short trips and stop / start driving where exhaust temps are usually too low to clean / burn of the trapped soot particles, this can lead to the engine been inefficient and in some cases the warning light will illuminate requiring immediate action. This little bottle offers fast results without the expense of dismantling or renewal. It cleans and regenerates the DPF and fuel injection system, providing optimum fuel economy, reducing emissions and restoring engine power. Easy to use….. Simply empty the complete contents into fuel tank before filling with diesel to ensure a thorough mixing. One 250ml bottle treats 60 litres of fuel. Millers Oils NEW Flowcontrol bottles puts an end to a messy job! Say hello to Millers Oils NEW Flowcontrol bottle, In recent years Milllers Oils Ltd has been at the forefront of innovation with their range of products, they have now applied this innovation to a select range of engine oils (excluding motorsport oils and classic oils). Millers Oils claims that 80 per cent of cars going into garages have low oil levels, but owners don’t like topping up because the job can be so messy. It looks like the team at Millers Oils have the solution, these new flowcontrol bottles allows the user to position their 5 litres of oil directly over the oil filler cap and use the screw valve to control the amount of oil flowing into the engine. This short video narrated by Tiff Needell explains the journey that lead to this fantastic design and how to use the Flowcontrol bottle. Opie Oils will be one of the first to stock these bottles, as soon as there available we will let everyone know, so stay tuned!! Our friends at Millers Oils have extended their VSPe range by releasing VSPe Power Plus Multishot, an “ALL IN ONE” petrol fuel treatment that provides ethanol protection, lead replacement and octane improvement. VSPe Power Plus Multishot is recommend for us in all classic engines previously requiring leaded fuel which are now running on unleaded fuel. One 500ml bottle treats 500 litres, dilution 1ml per litre. One full measure (50ml) using the multi-shot bottle treats one 50 ltr tank of petrol. The fantastic range of Millers Oils VSPe fuel treatments can be found at Opie Oils. 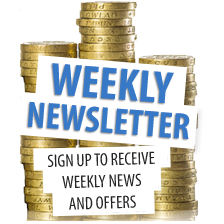 If you have any questions then we are here to help, you can call us on 01209 202949 Monday – Friday 8.30am – 5.30pm or drop us an email at sales@opieoils.co.uk.